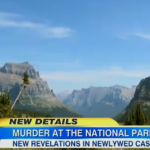 Dan appeared on Good Morning America today to discuss the case of Jordan Linn, the Montana newlywed who authorities say admitted to pushing her husband off a cliff shortly after their wedding. In early October, she was charged with murder. Now, police say the alleged killer sent an e-mail to cover up the crime. Explains Dan, “Before all we knew is that she was saying that the last thing she knew is she saw him getting into a car with some people that she didn’t know – that’s the last thing we heard. Now to see these documents about that she went through to cover this up makes it that much more problematic for her. I mean, this note that she gets from some guy named Tony, and you read what she says in the note… I mean, it’s so absurd… if she’s the one who created that all to try to lead the authorities away from it, that just makes this case that much easier for the authorities.” For more, watch the segment here.